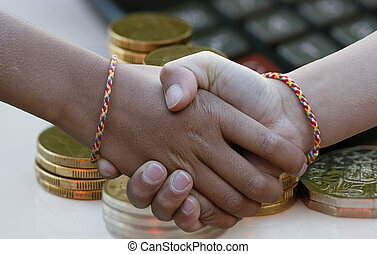 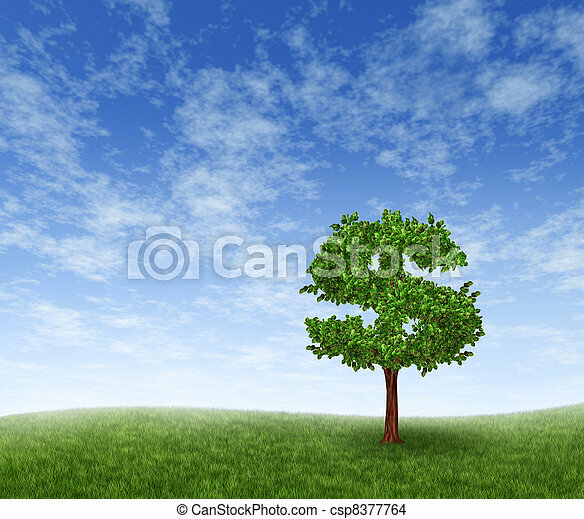 Financial growth agreement with two trees in the shape of a dollar sign and the roots in the form of hands shaking in partnership of a contract deal for wealth success on a blue sky. 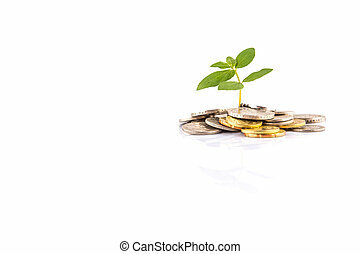 Financial growth and business success with the best investment choices from professional financial advice for picking the right equity stocks to invest in for retirement as green trees but one money tree in the shape of an arrow succeeds in high growth on white. 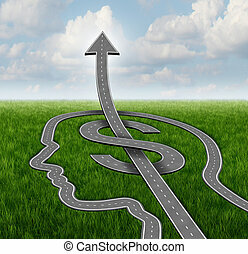 Financial growth path business concept with a group of roads or streets shaped as a human head and a dollar symbol with an arrow pointing up as a metaphor for investing strategy and planning success. 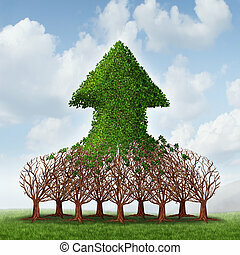 Team growth and corporate profit business concept with a group of growing trees joining together to form an upward arrow as teamwork development metaphor for financial success. 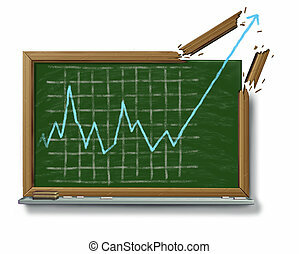 Profits growth business success symbol with an education chalk board or black board and a financial stock market graph drawing breaking out of the wood frame on a white background. 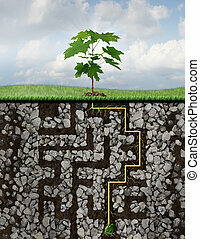 Growth solutions business concept as a metaphor with a tree emerging from a seed sprouting roots that have journeyed a challenging maze or labyrinth of underground rocks to reach financial success. 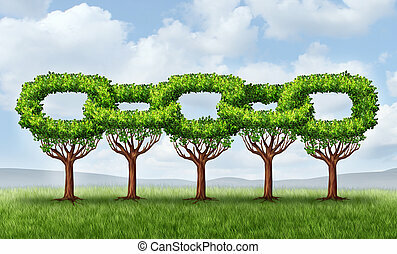 Network growth business concept with a group of growing green trees in the shape of a linked chain connected together as an icon of financial cooperation for wealth building and environmental teamwork. 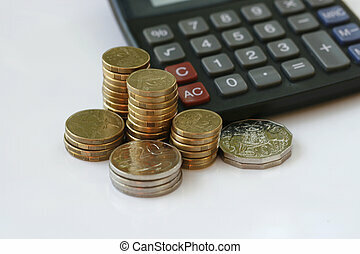 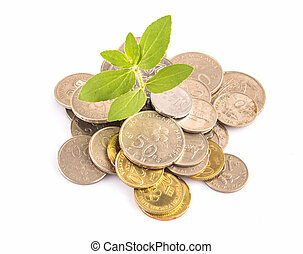 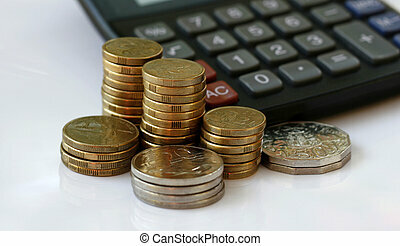 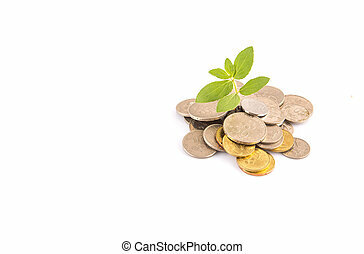 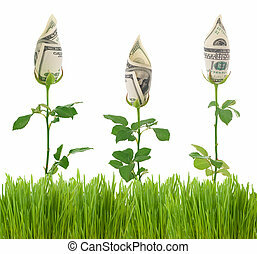 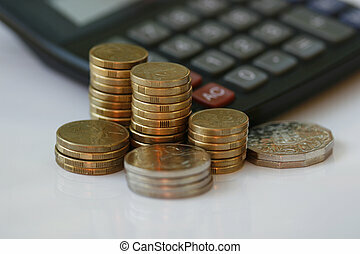 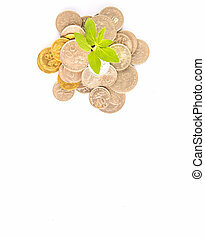 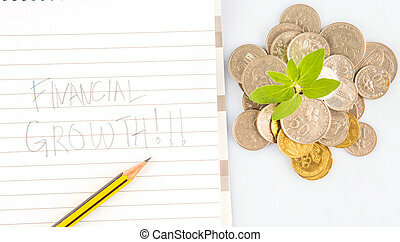 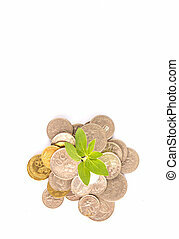 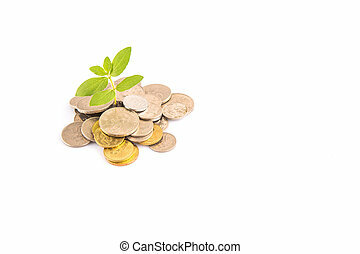 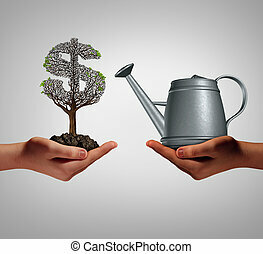 Financial assistance and business help concept as two hands holding a watering can and a struggling money tree as a budget aid relief symbol for investing in growth support service and helping a struggling economy. 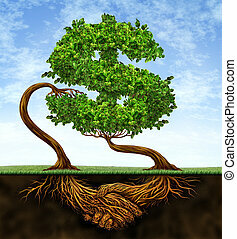 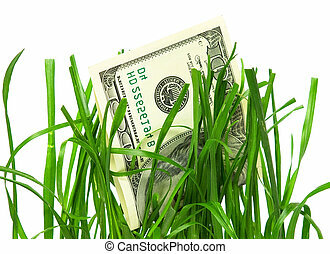 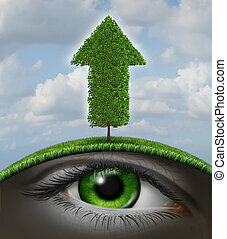 Growth vision business concept as a tree in the shape of an upward arrow and a human eye underground growing in the roots as a symbol of investment success with seed money for new financial ventures. 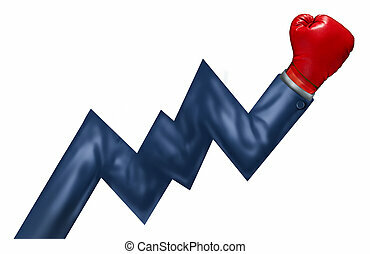 Competitive growth performance and successful leadership as a business concept of powerful financial management as an arm of a businessman with a red boxing glove shaped as a stock market graph isolated on white. 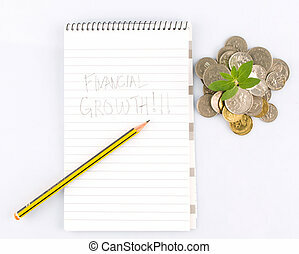 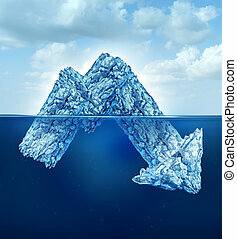 Growth icon with a three dimensional text and arrow pointing up into the future as a prediction or forecast and showing a business and financial concept of success and achievement on a white background. 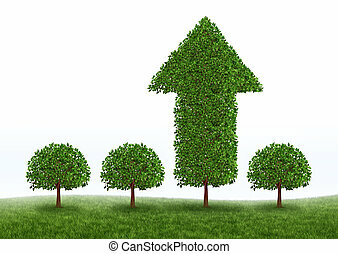 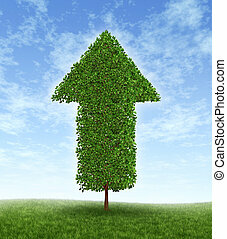 Growth investing and financial business success during economic good times due to compound interest from investments for linear productivity developement with a green tree in the shape of an arrow pointing upwards to the blue sky. 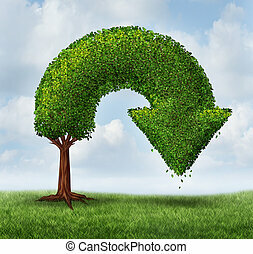 Financial crisis and growth problems as a business and finance concept for investment loss and downward growing trend as a tree shaped as an arrow pointing down as a symbol of recession or market crash. 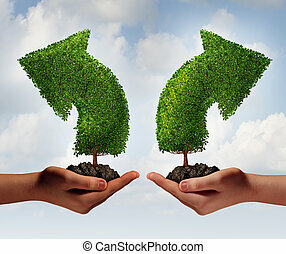 Growth choice and business guidance concept as two human hands holding up trees shaped as an arrow growing in opposite directions as a crossroad metaphor for choosing the right option for career or financial success.